The images used on Music Industrapedia are mainly creative commons images sourced from a variety of places but primarily from wikimedia commons or images that have been lent to us for use on this site (non-exclusively) or are considered to be fair use images (e.g. music artist publicity shots released by artists and their record companies fro general media and publicity usage and album cover art in the public domain). If you feel we have used an image of yours or an image in which you are the rights holder of, that was either uploaded on our wiki site or linked to one of our pages accidently (and/or ignorantly) by the team at Ye Olde Networks or by one of our Music Industrapedia members, please email us at moc.liamg|skrowten.edlo.ey#moc.liamg|skrowten.edlo.ey so we can rectify the situation asap and have that image withdrawn from our site. We also apologize in advance for any situation of un-intended unauthorised use of an image. Please choose an image that is representative of that music artist in accordance with the classic lineup that the public and the greater music industry would most identify with rather than the latest line up of a band in their later years or twilight years. (e.g. 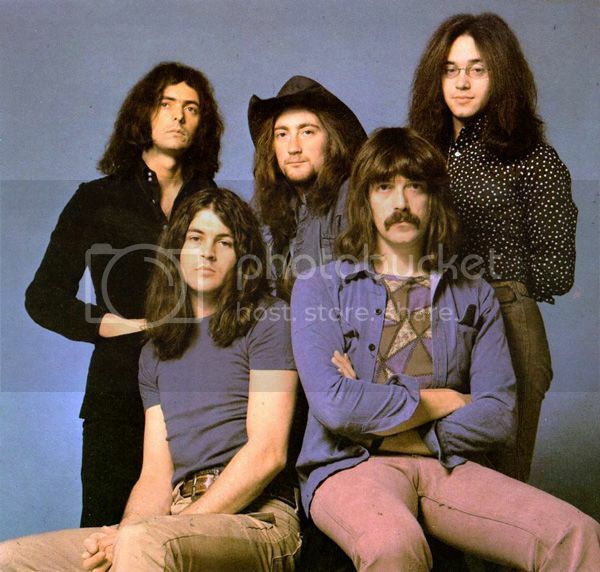 for Deep Purple it would include the lineup of their 'Machine Head' album rather than their 'Come Taste the Band' lineup). If the band or artist has been around for a few decades, please try and choose an image that they were using when they were at the height of their success (keeping in line with the retrospective focus policy of our site rather than being a site of the latest version of that music act). For example an image of the The Beach Boys in the 60's would be considered more appropriate on our site that an image of them in 2010 in their twilight years at a reunion concert for their profile picture on Music Industrapedia, as would an image of say country singer 'Lynn Anderson' from the 60's rather than in her later years of 2011. In particular we want to avoid situations whereby the latest version of a band with no original members or only one member of the band is cashing in on the brand of the bands past glories as the central image of that band on our site. 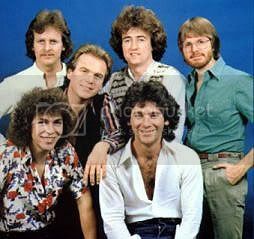 In some situations we may even need to create two separate pages for a band in extreme situations such as the Little River Band where we have created an Australian band version page (of original members) and an American band version (of American rights holders to the brand / band name). Anyone who chooses to ignore these style preferences and policies of our site will have their images replaced by what we as administrators feels is a better fit. Our apologies in advance if you dont like this. In the case where the music artist themselves or their management wants to intervene with a pic of their choosing we will be happy to discuss this directly with them to try and honor their preferences, but again we remind everyone that we are primarily a "retrospective site" and we reserve the right to make the final call as site owners and editors on profiling images for music artists. As a default means of obtaining profile images for music artists on our site we will link images from the creative commons image site 'Wikimedia Commons' unless we can source a better image that is creative commons that can be loaded on to our own Ye Olde photobucket profile. These wikimedia_commons images can be found linked on the wikipedia page of that artist from where you can click on the image to get its linking details. We are also happy to take image links from people who are rights holders of music artist images who prefer to host the image from their own website or photo sharing site. Please write to us at moc.liamg|aidepartsudni.cisum#moc.liamg|aidepartsudni.cisum with the title 'Images for Linking' in the subject line and a copy of the link in the email and written permission giving us 'non-exclusive' rights to use the image on our site. Alternatively, if you want to make it a creative commons image for public use please consider loading it up on Wikimedia Commons (http://commons.wikimedia.org/) and then let us know about it. We greatly acknowledge the wonderful service that Wikipedia and Wikimedia Commons offers a site like ours and we often donate money to the Wikimedia foundation in appreciation of them as a resource for sites like ours and suggest you do too. Here is their donation page if you wish to donate money to Wikipedia and Wikimedia Commons https://donate.wikimedia.org. For music artists who do not have an image currently available on Wikipedia or Wikimedia, please use an image of one of their album covers (usually available as part of their discography on Wikipedia and respectively on Wikimedia). If possible please choose an album cover where an image of the members are represented on the front cover or alternatively please choose an album cover of the music artist that is considered to be one of their most important or successful works by the music industry community (fans, critics, music journalists, authors etc).